Coach Mercy Tagoe-Quarcoo has released her 30 provisional preliminary squad for the 2019 WAFU Championship in Ivory Coast and Ampem Darkoa’s Evelyn Yeboah who was named best goalkeeper in the just ended NC Women’s Special competition shockingly fails to make the cut. competition but were beaten 3-2 by three times National Women League champions, Hassacas at the El Wak Stadium on Sunday. However, Evelyn Yeboah’s effort which saw her adjudged the best Goalkeeper in the competition has gone unnoticed following her startling omission from the Black Queens provisional squad billed to start camping in Cape Coast on Tuesday 16th April 2019. 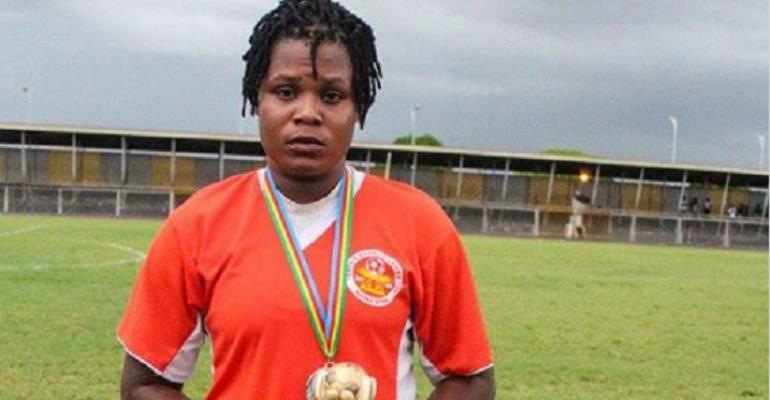 Football fanatics in Ghana are perplexed and do not understand why Evelyn Yeboah’s name was not included in Mercy Tagoe’s 30 provisional squad for the tournament. The 2019 Women’s WAFU tournament is slated for 8th May and end at 18th May 2019. Ghana have been housed in Group B with alongside Mali, Nigeria and Guinea. Fafali Dumehasi (Police Ladies), Barikisu Isshaku (Northern Ladies), Abigail Tawiah-Mensah (Sea Lions), Azume Adams (Prisons Ladies). Rabi Musa (Fabulous Ladies) Juliet Acheampong (Prisons), Grace Asantewaa(Ampem Darkoa), Diana Weige (Halifax Ladies), Blessing Agbomadzi (Sea Lions) Joyce Antwiwaa (Ashtown Ladies). Alice Kusi (Fabulous),Mavis Owusu (Ampem Darkoa),Mukarama Abdulai (Northern Ladies),El-Shaddai Acheampong (Kumasi Sports Academy), Jane Ayieyam (Police Ladies),Ernestina Tetteh (Halifax),Elizabeth Owusua (Sea Lions),Grace Animah (Police Ladies),Faustina Kyeremeh (Immigration Ladies),Leticia Adjei (Samara Ladies).